"My father had always said, 'You would make a good teacher.'" "My father had always said, ‘You would make a good teacher,’” said Dr. Thomas W. Krise, 11th President of the University of Guam. And though a father’s opinion can naturally repel his children in their teenage years, as it did for Krise and his sister, they both ended up in the fields their father had predicted early on. It wasn’t the first path he pursued. Instead, he followed in his father’s footsteps into a military career when he received an appointment from the U.S. Virgin Islands congressional delegate to attend the Air Force Academy in Colorado, where he spent the next four years pursuing a degree in history. He spent the majority of his first six years in the U.S. Air Force as an ICBM launch officer in Minot, North Dakota, before he entered the teaching field as an instructor at the Air Force Academy. 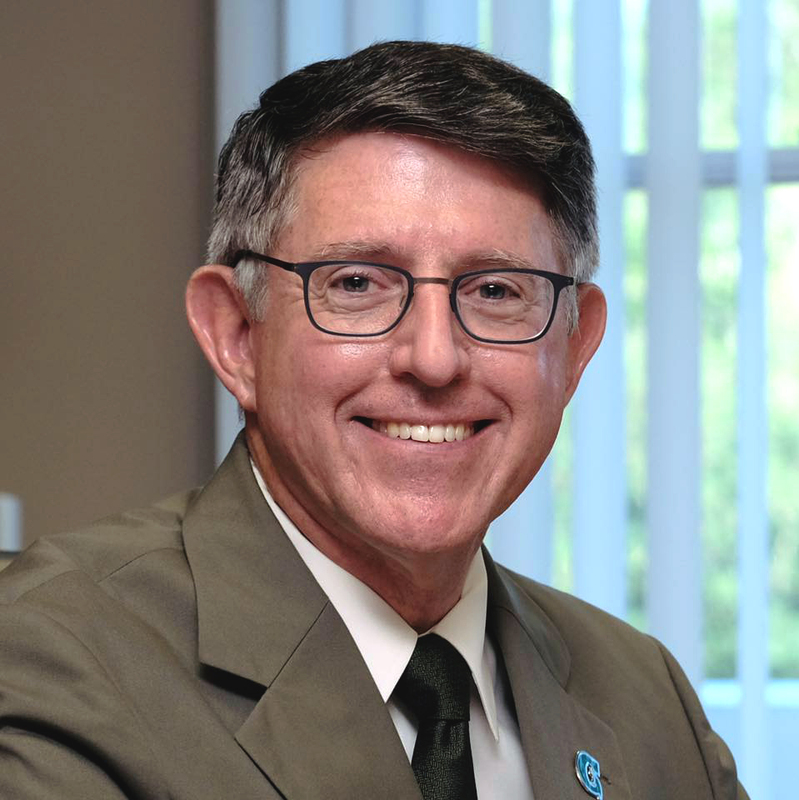 He served a total of 22 years with the Air Force, 11 of which he spent teaching at the Academy, where he served as a professor, deputy head of English and Fine Arts, president of the faculty senate, and founding director of the Air Force Humanities Institute. His career in teaching also took him to the University of the West Indies in Jamaica, where he was a Fulbright Scholar; the University of Central Florida, where he chaired the English department; the University of the Pacific in California, where he served as dean of the arts and sciences college; and Pacific Lutheran University in Washington state, where he served as president. 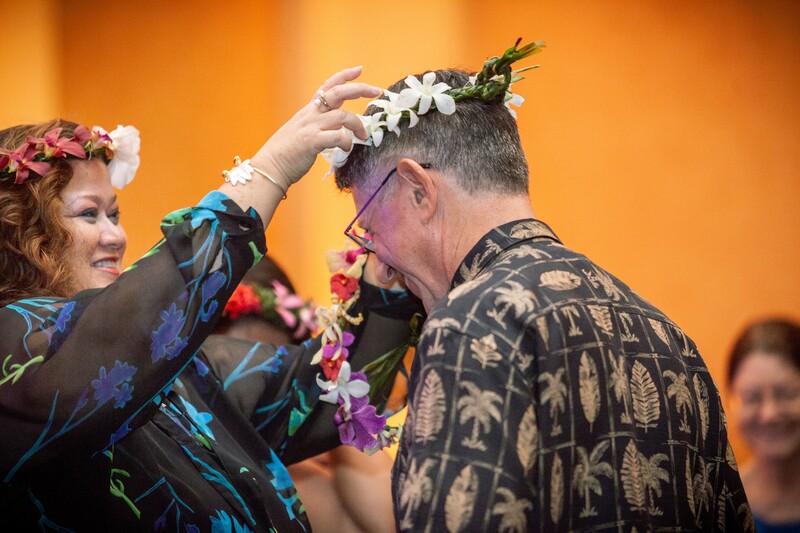 But it’s not only his experience in academia that drew him to respond to an advertisement to become the 11th president of the University of Guam. It was an interest in and affinity for small islands and their distinctive cultures. "With Guam I feel like I can bring experience and an interest in small island communities and the issues specific to them." Krise was born in San Antonio, Texas, but the career of his father — an Army officer and decorated veteran of World War II, Korea, and Vietnam — planted the family in cities across the United States and Germany until his father’s retirement, when they moved aboard their 40-foot sloop, sailing up and down the East Coast of the United States and throughout the Caribbean. After nearly two years, they settled on St. Thomas in the U.S. Virgin Islands. While his parents continued to live aboard their boat, operating a charter business, Krise lived alone on the island from the age of 14 and attended high school, working as a deck hand on the boat during summers and holiday breaks. It was in the U.S. Virgin Islands that the young Krise first became aware of the unique social and political issues of territories and developed a lifelong affinity for small island communities as well as an understanding of their challenges and opportunities. He delved deeper into the political side when he joined a campaign for a gubernatorial candidate as a senior. “Because of the Virgin Islands experience and partly because of being involved in politics in high school, the awareness of the status issues has always been prominent with me — a lot of papers I did in school were focused on that issue,” he said. Graduating from All Saints Cathedral School on St. Thomas, Krise remembers his last night on the island thinking that he would eventually like to do something for the islands that had come to mean so much to him. That question sat with him for a long time. He went on to earn a bachelor’s degree in history from the Air Force Academy, master’s degrees in both human resource management and English from Central Michigan University and the University of Minnesota, respectively, and a doctorate in English from the University of Chicago. Throughout that process, his question was answered: He would become an academic and pioneer the study of early Caribbean literature. 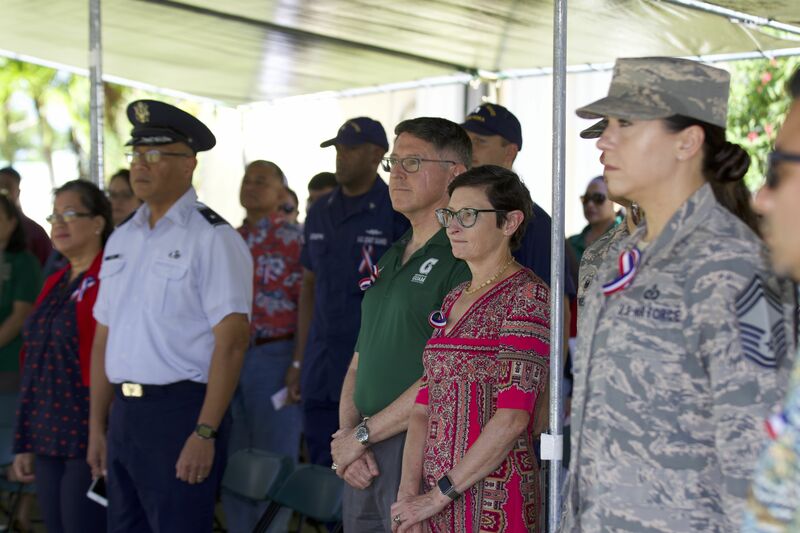 Krise, who retired as a lieutenant colonel in the Air Force in 2005 and has held administrative roles in higher education since then, was selected as the 11th president of UOG over the summer of 2018 and moved to Guam that August. “We’ve been welcomed in many places, but never so warmly as here,” he said. He moved here with his wife of 31 years, Patricia. The two met at an aerobics class in Minot, where Patty often traveled for work as a sales representative for Ford Motor Company. Krise said one of the strongest connections he has made between his time in the Air Force and academic leadership is that leaders need to understand and have the ability to do the core work of an organization. Though his schedule as president is demanding, he plans to start by guest teaching in the English department next semester and then potentially co-teaching English next year. He also learns about the University organically through regular meetings he holds with UOG students to learn about their challenges and their feedback on University operations and offerings. 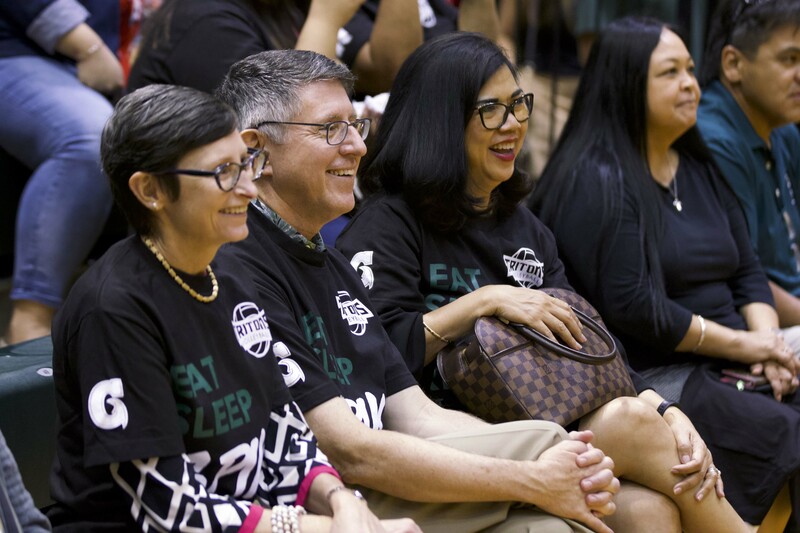 "UOG is so unique in being the only institution for this huge area — there’s no other institution like it." Krise has a palpable passion for moving the University into its next chapter. 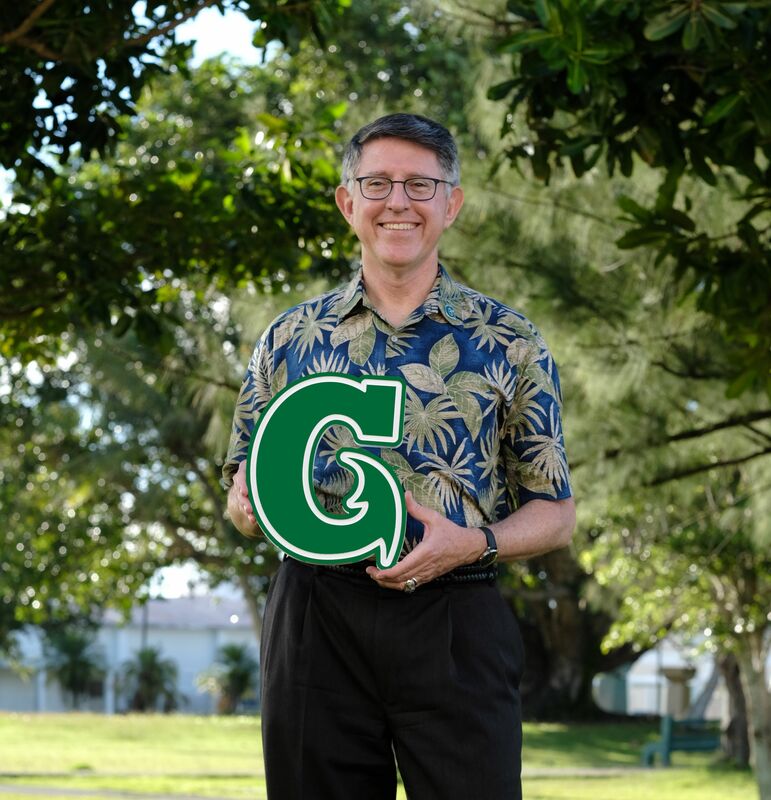 “UOG is so unique in being the only institution for this huge area — there’s no other institution like it. UOG is pretty remarkable,” he said. The University’s teaching and research functions are particularly high-quality, he said. “We’ve got some very serious, very high-end research operations here that you could pick up and drop into any research university in the world,” he said. More generally, he said the University has a lot of smaller things it is doing very well, and the idea behind his leadership will be to expand upon those things. 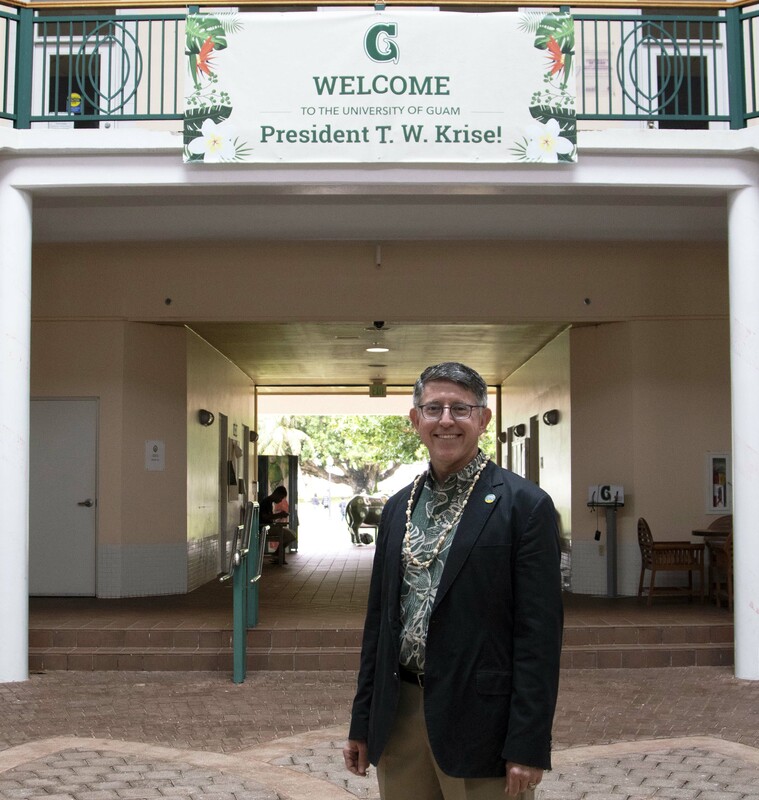 In looking for how to help the University grow into its next phase, Krise said his goal is to help UOG become its best self. “You should treat an institution the way you should treat a student. You’re trying to figure out what makes the student tick and how do I contribute to helping this person become the best version of themselves?” he said. Serving the people and culture and providing socially relevant approaches through subjects like CHamoru studies, Micronesian studies and areas in which only UOG specializes. Areas of research that are specific to island living and this geographic area, including the work of the Marine Laboratory and the Water & Environmental Research Institute. Capacity to produce leaders throughout the region. He noted UOG alumni serve as top government officials and heads of organizations throughout Micronesia. The challenge, he said, becomes what we pursue and in what order to take full advantage of UOG’s unique opportunities. One specific opportunity is expanding UOG’s regional mission. 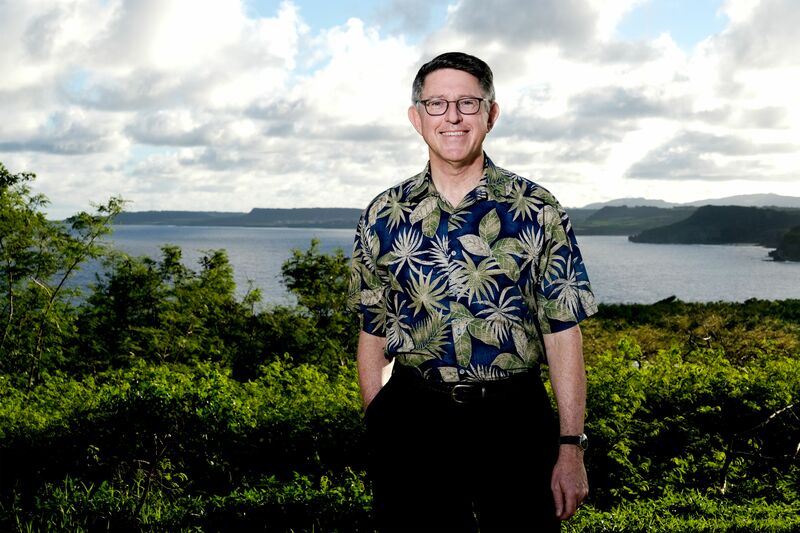 While everyone is aware of the region, he said, he would like to see students getting more personally acquainted with the region and conversely to see more students from the region attending UOG — whether physically, through online courses, or via faculty who travel to other islands to teach. Online courses, in general, or hybrid options would be a positive development for UOG, he said. It would reach a greater number of students while also generating more revenue. “It’s probably the most immediate way we can expand,” he said, though it has to be done well. "There isn’t an investment you can make that returns more to society than education." While some of his ideas to grow and make improvements are possible using resources the University already has, certainly, the need for stable funding is an underlying factor. “It’s hard to be excellent in a very turbulent financial situation,” he said. The University is short $3 million in government-promised funding on its $45 million budget, and the upcoming budget is $4.9 million less than the previous year. The nation as a whole is seeing a trend of public disinvestment in higher education and education in general, which means public universities need to take a different approach. “All universities need to think of themselves as private universities do. If you think more like an entrepreneurial, private institution, I think that’s how public universities will thrive in the future,” he said. Still, the University remains hopeful that the government support will return. 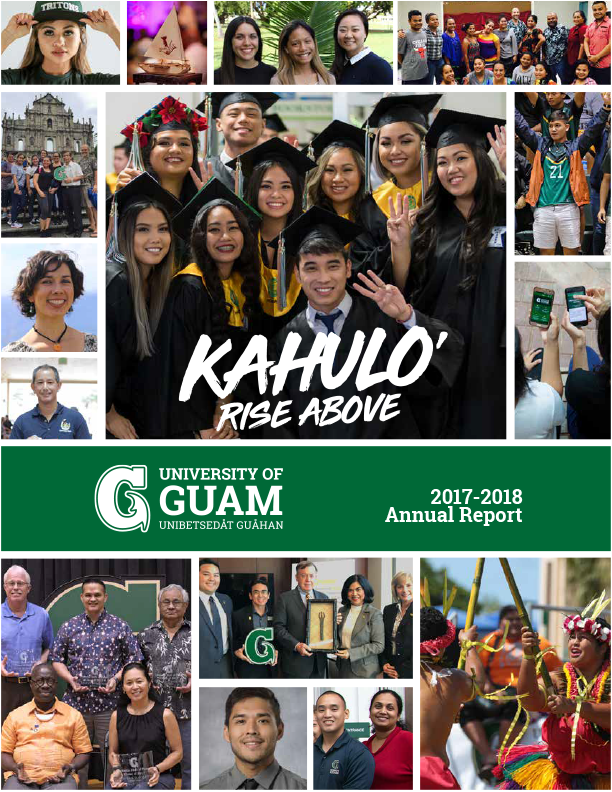 For this story and more about the University of Guam, download the 2017-2018 Annual Report. This work is licensed by Creative Commons Attribution 3.0 Unported.